If you want a trippy experience well-- here you go! We’ve covered the trailer before on this site, but the full insane project is finally out! 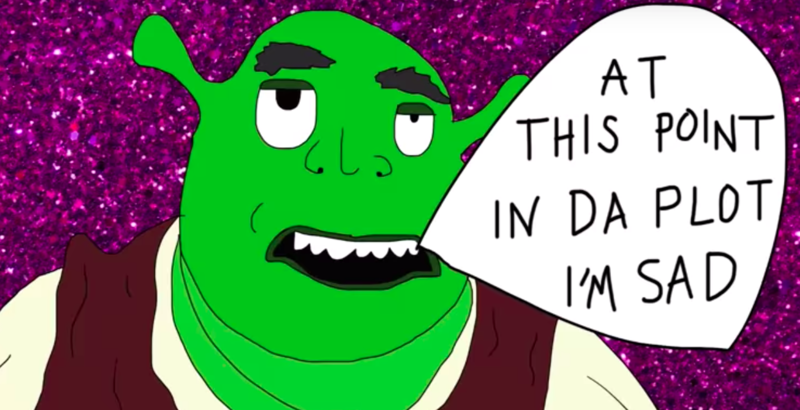 The GI, an organization responsible for Shrekfest, the Madison, Wisconsin Shrek related festival, has employed 200 artists — animators and filmmakers alike — to reanimate Shrek scene by scene. The result — a trippy, strange and fun ninety minute movie that gives us the best of everyone’s skills. Even when the skills are not on show, the absolute voice is, and the mixture of all styles creates a silly, strange and goofy show of beauty. 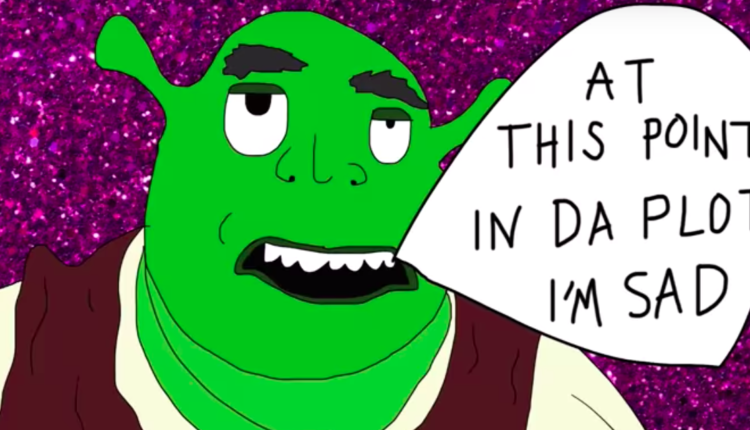 It’s called “Shrek Retold”, and it’s fantastic and can be seen above. The styles are all over the place, as they should be. Some of the animation is elaborate and beautiful — with its influences clear and canonical. Some of the better stuff though can show us a crude CGI Lord Farquaad, a strange ugly live action Shrek and Donkey — often represented in an Eeyore costume, and more. It’s fantastic, and you should check it out. What do you think of the Shrek remake? Let us know in the comments or on Twitter at @WhatsTrending.